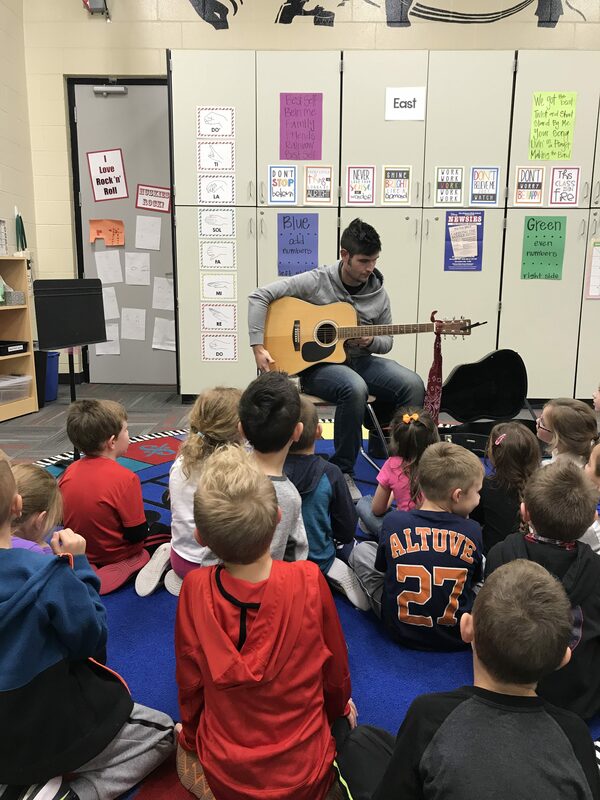 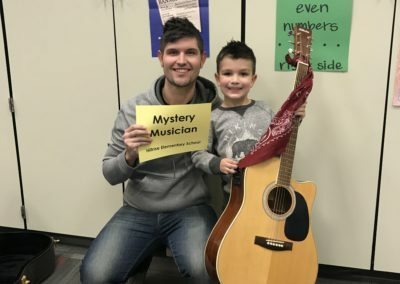 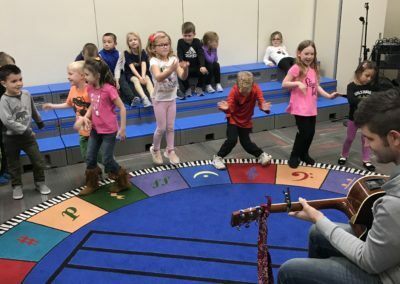 First-year teacher Ms. Allie Dirks had often heard about teachers bringing in mystery readers to get students excited about reading; so, when she accepted her position as elementary music teacher at Elkhorn’s Hillrise Elementary, she decided to put a spin on the ever-popular “Mystery Reader” and start her own “Mystery Musician” tradition. 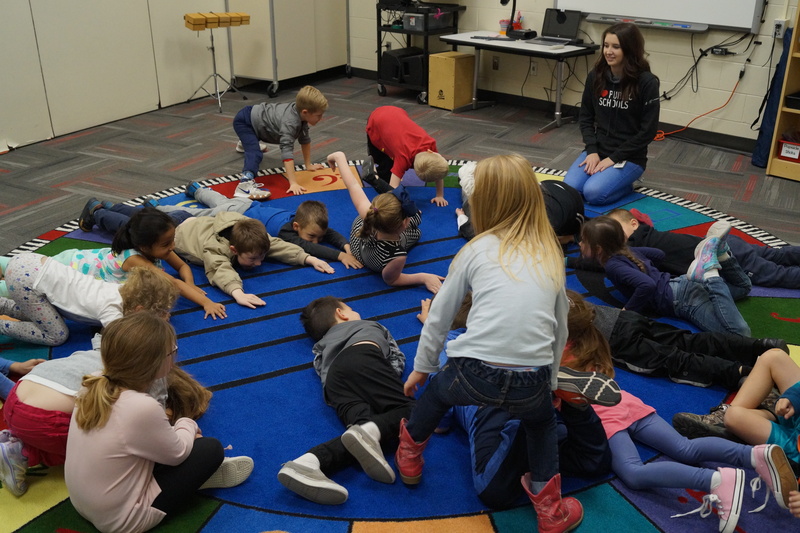 Students in all grades will have the opportunity to participate throughout the year, as Ms. Dirks lines up parents and other school community individuals to showcase their musical talents, from hobby vocalists to performance instrumentalists, and everything in between. 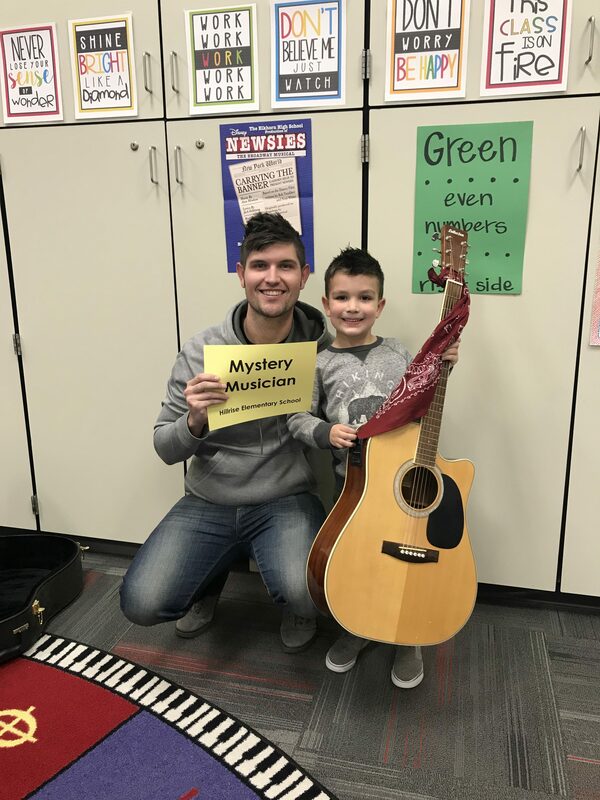 In the music class prior to the arrival of a “Mystery Musician”, Ms. Dirks gives a handful of clues so students can start to make their guesses as to who will be showing them the importance of music next. 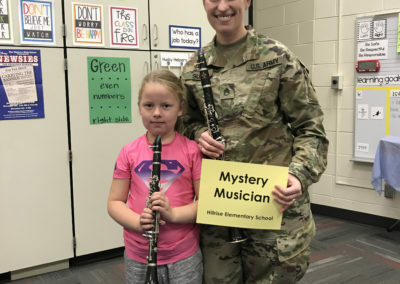 Then, on the day of the showcase, the Mystery Musician is revealed by giving his or her performance in front of the students. 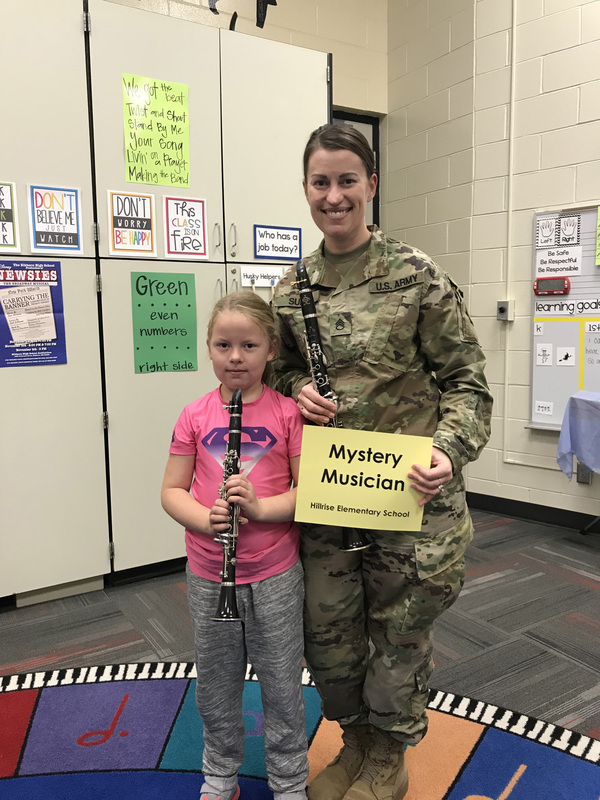 So far, Ms. Dirks says that the activity has really taken off, and kids are always thrilled to learn a new Mystery Musician will be arriving soon. 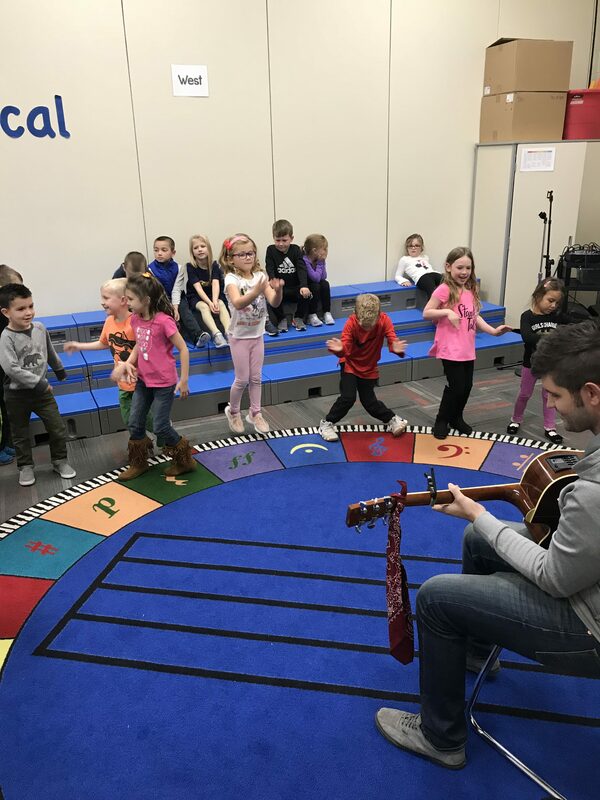 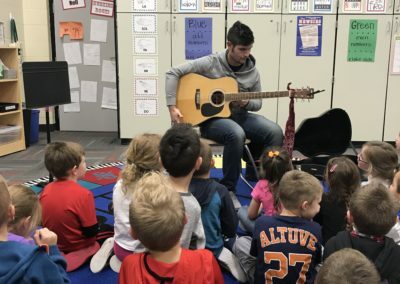 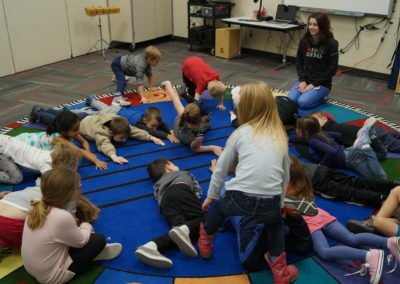 Overall, the lesson and overarching purpose students are hearing rings through loud and clear – “music will follow you throughout your entire life. 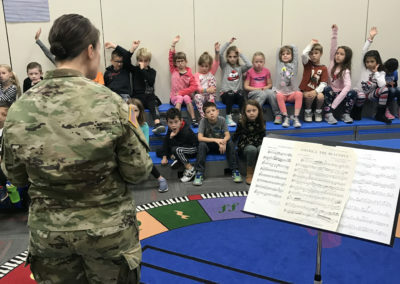 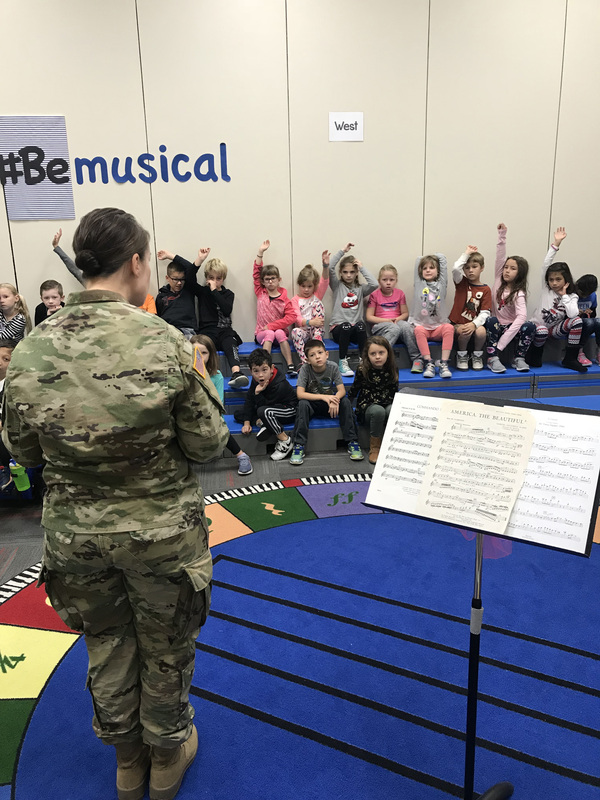 Whether that is singing as a hobby, or being a clarinet player for the Army Band of the Nebraska National Guard, music is a universal language that filters into every aspect of life, from childhood to becoming an adult”, says Ms. Dirks.